Here is another étude by Danish flutist Joachim Andersen. 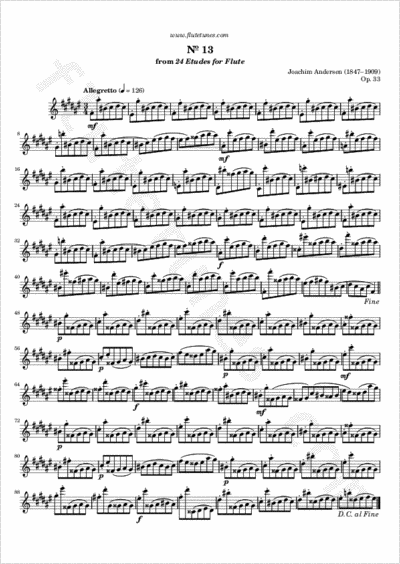 This Allegretto in F# major is study No. 13 from his Twenty-Four Etudes for Flute, Op. 33. It can easily be considered a study in accidentals... don't let all those sharps scare you!